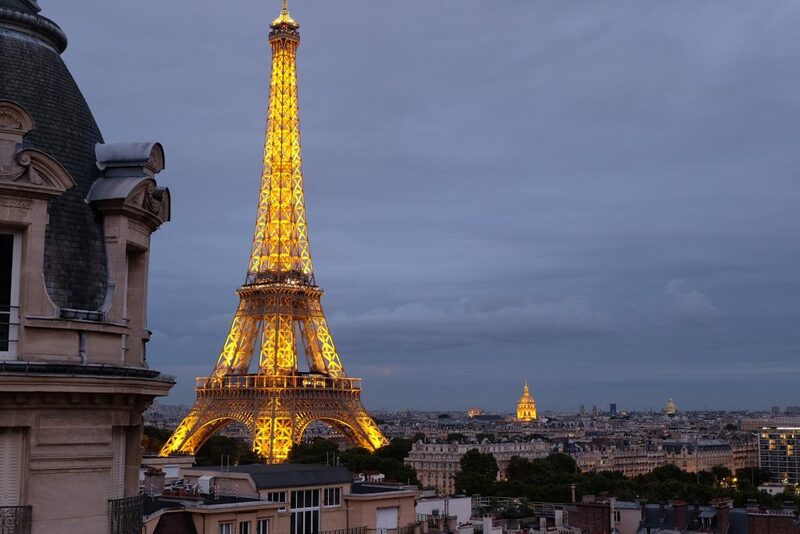 I’m currently staying in Paris and I have rented out an AirBnB with the most stunning view of the Eiffel Tower. Many of you have seen some of these views of this apartment from my insta-stories. It’s created a lot of interest with many of you messaging me for the details of where this accommodation is. So I have quickly put together this little blog post with all the details. The studio apartment that I am currently staying at, has to have one of the most stunning views of Paris and the Eiffel Tower from it’s balcony. 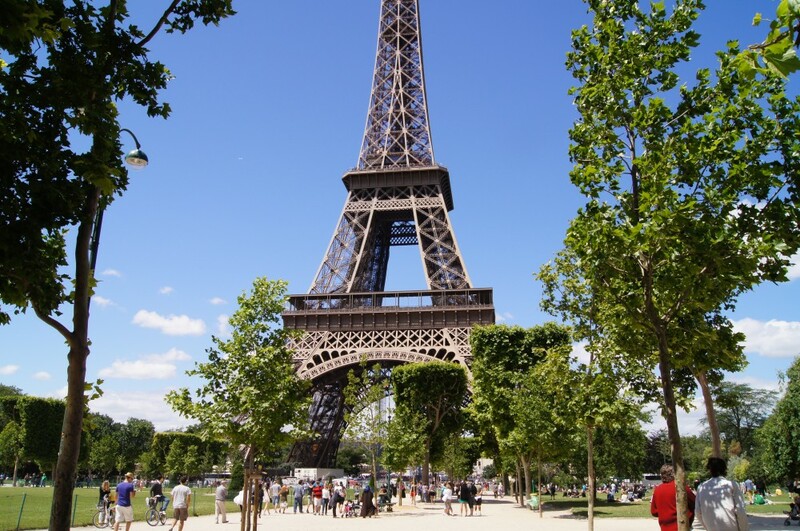 When I googled accommodation in Paris with the Eiffel Tower view, I some how came across this little gem and decided to take a chance and book it. Not only does it offer this amazing view, but the price is equally amazing! Paris is expensive and when you find a gem like this you grab onto it as quickly as possible. The current asking price is under 115 Euro a night (approx Aus $169) per night. This sounds too good to be true right? Now here is where I tell you the drawbacks of this property. If you expect a high standard, then you may not cope with a few things this apartment dishes up. The description on AirBnB is upfront and honest on all aspects of this studio apartment. Firstly, you do not have your own toilet. You share the communal toilet which is down the end of the hallway. This might be a deal breaker for some, but for me the view is worth the sacrifice. The apartment is one room only, which contains the kitchen, bathroom and bedroom area, each occupying a corner of the room. The kitchen area is great and is the best area of the room, with an island bench and some modern touches. The bathroom is in the opposite corner, don’t look too closely at the shower curtain, in fact it’s best if you just close your eyes and imagine you are somewhere else. That is until the hot water runs out before you have rinsed your shampoo out. So very quick showers only. There is no TV, so you will have to find other things to do, such as watching the amazing view! So if you have come this far and aren’t too perturbed by the cons, then here are the good points. Firstly the view is absolutely unbelievable, the Eiffel Tower feels like you could literally put your hand out and touch it. The apartment is on the top level of the building, so the view is truly stellar! Can you imagine yourself waking up to that view? 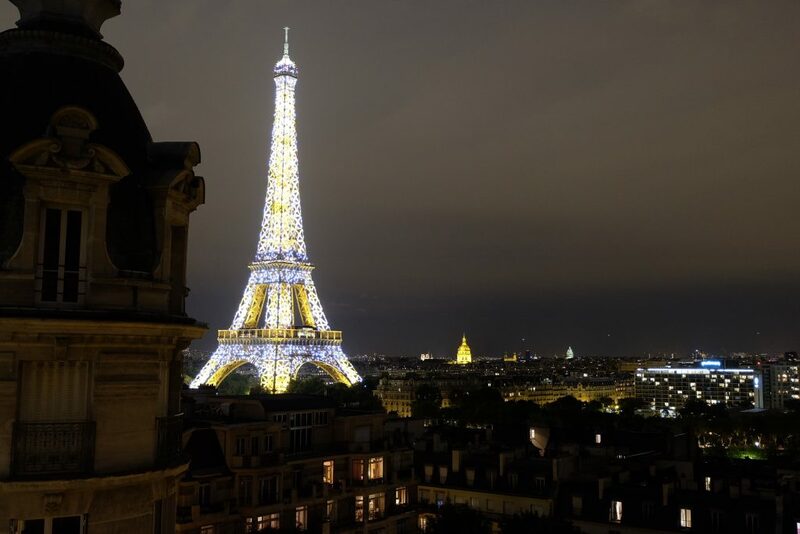 Then in the evenings, imagine yourself sitting there, glass of wine or beer in hand watching the Eiffel Tower put on it’s hourly light show, from the comfort of your room! Who needs to go out for dinner, when you can sit and have some wine and cheese whilst watching the view! Honestly, this view totally makes you forget all the drawbacks of this apartment, which really isn’t that many, apart from the toilet situation. 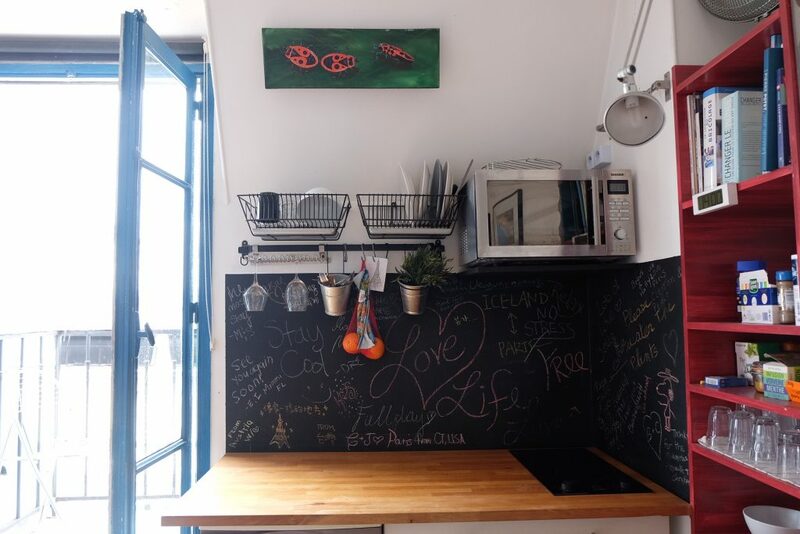 The kitchen is fully equiped for cooking your own meals, there is a hot plate, microwave oven, a fridge and all the necessities for cooking and serving. There is plenty of power points, mirrors are good for doing makeup and there is a powerpoint close to the mirror. So you are able to blow dry your hair and see what you’re actually doing. That’s one of my gripes when you stay in places that there is no powerpoint near to a mirror. Wifi works extremely well, I uploaded lots of photos with no issues of ever having a weak signal. The area is right on the doorstep of Passy Station, which has an escalator (great for heavy luggage) and there is a shopping strip close by. 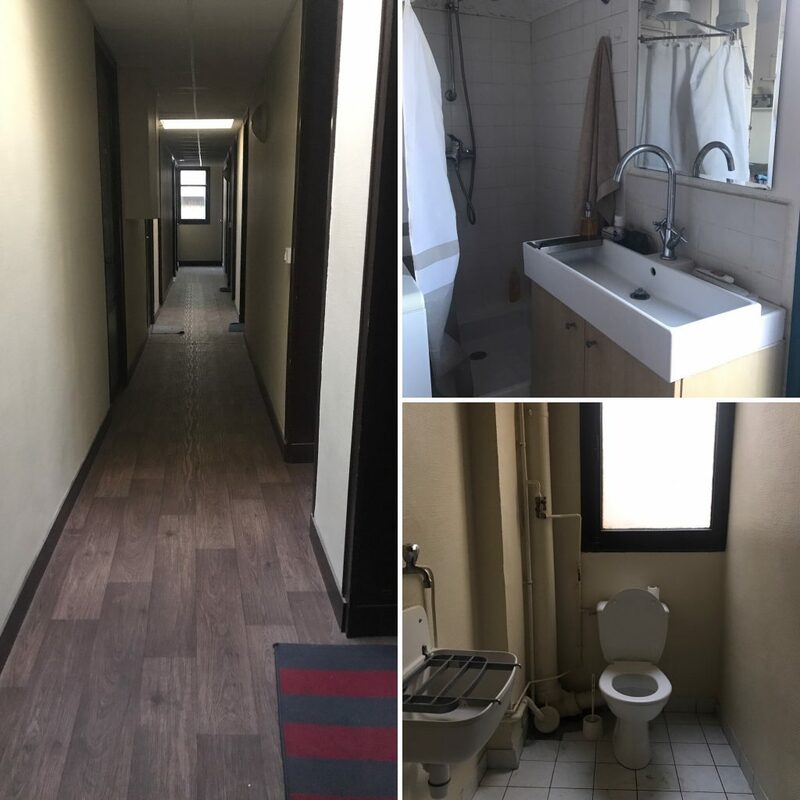 So if you are not afraid of walking down the end of the hallway, toilet paper in hand, then welcome to the cheapest apartment with the most incredible view of the Eiffel Tower you will find. The property is listed on AirBnB if you are interested in booking this apartment. The host will meet you at the property if he is in the city, otherwise it’s a smooth process in checking in yourself. * Note that I have not edited these photos, as I wanted to show how exactly the view and studio apartment looks. Hi Diana, I have sent you a message with the link to the apartment. 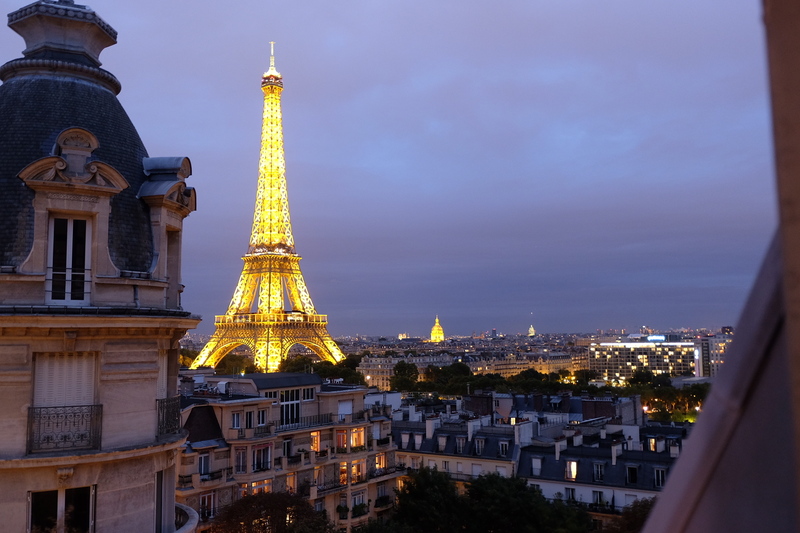 Thanks for taking the time to read my blog and the view from the apartment is stunning!